Hotel Saravana Inn offers a fruitful staycation to travellers visiting Trivandrum and are looking for an ideal place to unwind after a busy day. Modern, well furnished and elegant rooms offer a serene and peaceful stay. The interiors of the rooms are simple with wooden furnishings along with matching curtains that brings a homely vibe to the place. 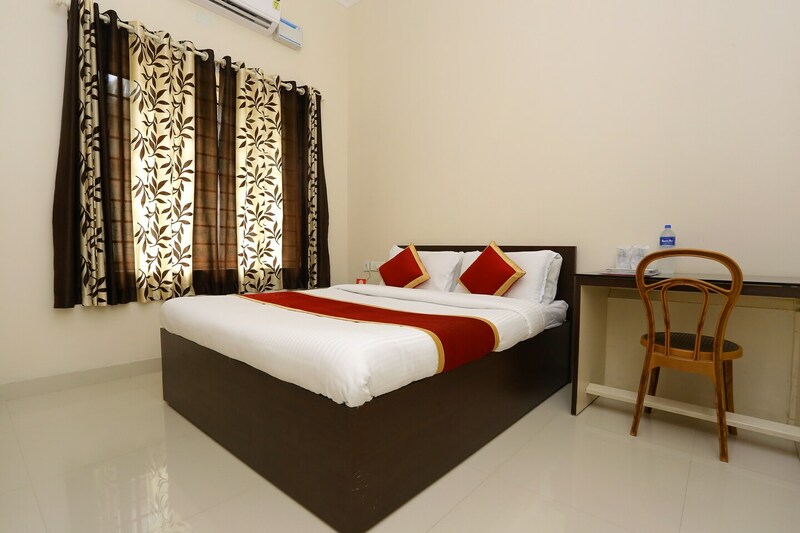 The hotel offers free WiFi, power backup and card payment option along with a modest dining area to savour some local delicacies.Important places of interest like East Fort, Padmanabhaswamy Temple, Poojappura palace and Pazhavangadi Maha Ganapathy temple are conveniently accessible. Visitors can also enjoy shopping at Mall of Travancore which is located nearby.